Hey shady lady! Channel Anna Wintour rather than Bono with the best sunglasses brands on the block. Let me count the reasons why I love sunglasses – apart from the obvious protecting-your-eyes-from-UV-rays thing. They hide hangovers (very important). They provide some small respite from hayfever (why is it so bad this year?!). They make you feel like Anna Wintour even if you’re just going to the post office. They allow you to avoid eye contact – and thus conversation – with anyone annoying who might cross your path (yes, I am a massive misanthrope). 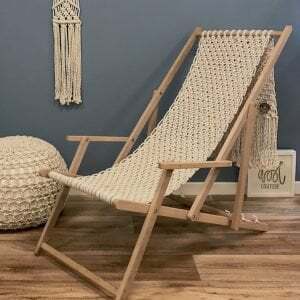 And shopping for them is lots of fun – there’s never been a greater range of styles, shapes, colourways and price points. My current buzz brand is Prism. 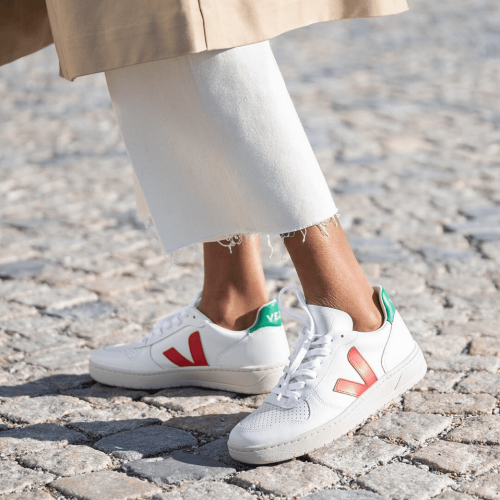 Based in Marylebone and launched in 2009 by ex fashion editor and model Anna Laub, they’re as wearable as they are cool, with a big celebrity fanbase. 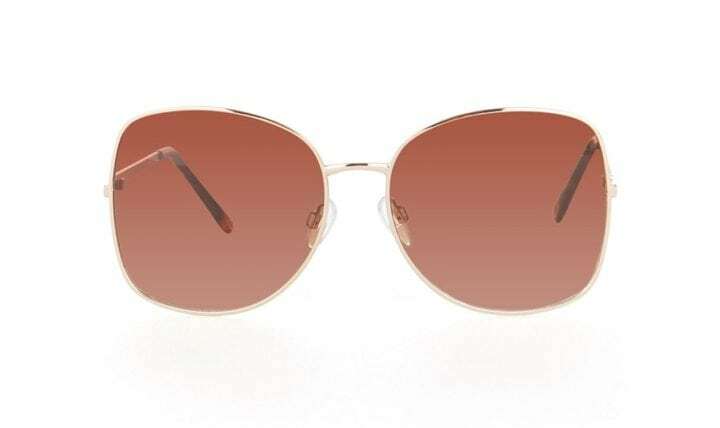 They’re handmade in Italy so they don’t come cheap at around £200 but I find that if people are willing to invest in any piece, or to upgrade from high street to designer, they plump for sunglasses. I guess it’s because we wear them so much and they can really ‘make’ an outfit. 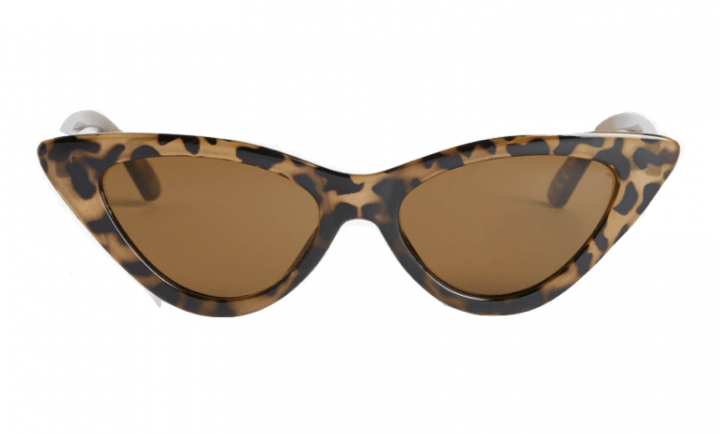 My Prism wishlist this season includes the Savannah (£210) with its jaunty blue frame and animal-print arms, the St Louis (£195) cat’s eye for a 1950s The Talented Mr Ripley feel and an unusual black/tortoiseshell design, the Phoenix (£210) with its quirky animal print frame and the ’70s pink Monaco (£215). PS: Laub’s swimwear is worth a look, especially if you like Cos-style minimalism and muted shades in a bikini (a look that surprisingly hard to find amid the deluge of lurid pink and orange tropical prints). She’s just launched cute children’s swimwear too. Too spendy for you? Allow me to introduce you to the high street..
Jigsaw have a super selection of shades these season that strike the balance between cool and grown-up (because no one wants to look like Dame Edna on the school run). 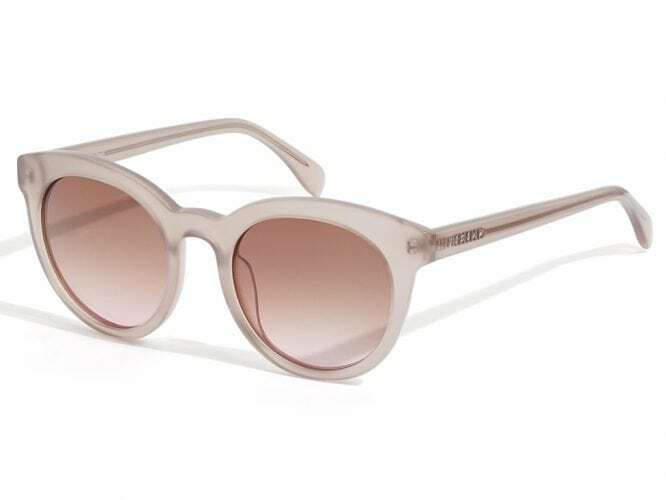 These dusky pink sunglasses (£69) with chunky frame are pretty and flattering. Not done a recce in Reiss for a while? You should – their collaboration with Stockholm’s Monokel Eyewear is a masterclass in sleek Scandi design. These beauties come in pale rose, black and tortoiseshell but I’m especially feeling this quirky pale green hue. 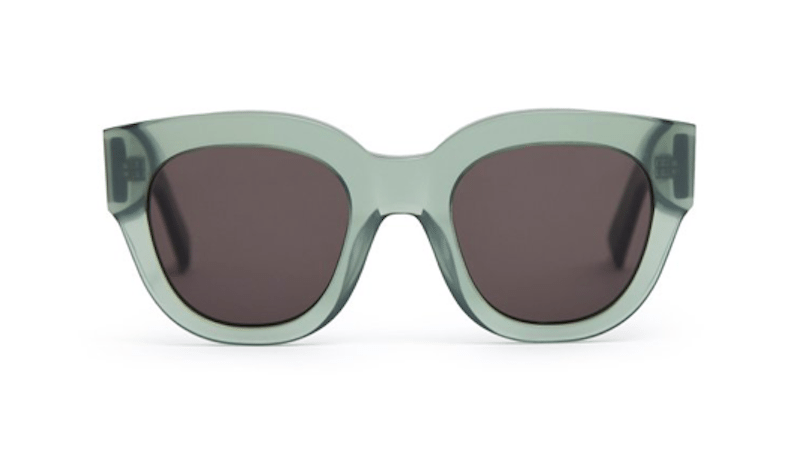 Le Specs is a cult Aussie label and celeb catnip yet brilliantly priced. 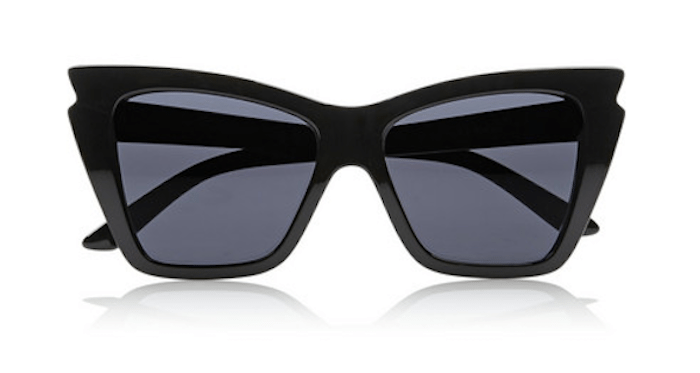 These oversized cat’s eyes are only £35, possibly the most bargainous item you’ll ever find on Net-a-Porter. Warehouse is totally on the money right now – but without requiring much money to leave your purse, yippee. These ’70s square frame number are a steal at £16. You may have noted with alarm that teeny-lensed specs are back, with high fashion label Celine to blame for this. How the heck will they hide my eye bags? Will I look like Keanu Reeves in The Matrix? Hmmm. If you want to give ’em a go without splurging, these are just a tenner at Monki.